We all get excited about finding things we weren’t meant to see, but for an Internet historian there’s a special kind of excitement in discovering official Twitter test accounts. Of course, these accounts (or at least the ones we can feasibly see) are not secret as in classified. If Twitter had wanted to keep them strictly hidden, they wouldn’t be live on the open web with public status. But most of them are very, very obscure, and are therefore secret on the basis that hardly anyone knows about them. 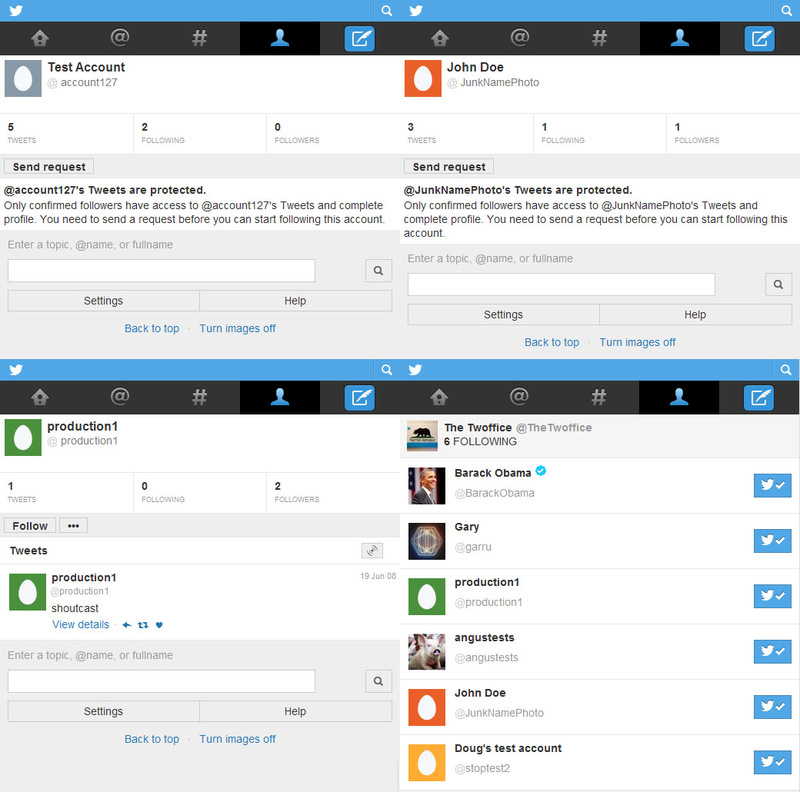 In this post, I’m going to reveal some of these characteristic Twitter test accounts to you. We’ll be looking at a few important components in the history of Twitter’s development, which only a very small number of people outside Twitter have previously seen. Let’s begin with the account that tested Twitter’s direct photo uploads before the feature ever went public. Officially, prior to 2nd June 2011, tweets had no means of accepting direct image uploads. 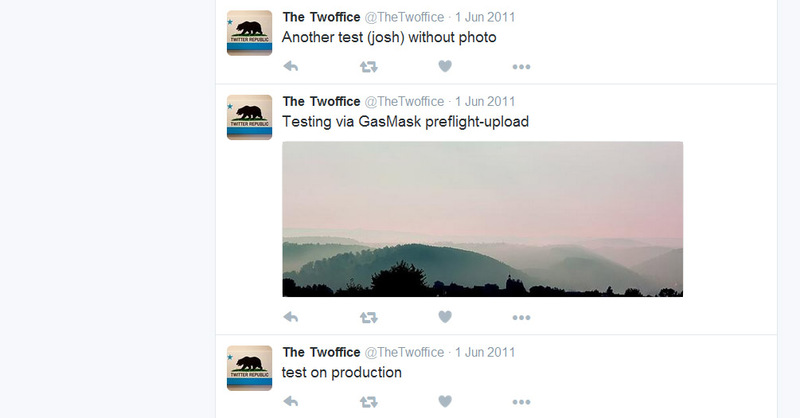 But in the deep underground of an unknown profile called @TheTwoffice, there’s evidence of direct photo uploads having taken place before that day of launch. And this makes for a fascinating discovery, because the only people who could have tweeted natively uploaded images before it was officially possible, would have been Twitter employees, or close associates. Once you see that date – 1st June 2011 – on a photo-tweet, you know you must be looking at a Twitter test account. It’s something no one can fake. The use of a Twitter feature, before the feature existed. Actually, if you explore the contents of @TheTwoffice further, you’ll see a lot of interesting remnants from the period before photos officially “took flight” on Twitter. You’ll notice that the subdomain Twitter uses to host its native photos (pic.twitter.com) was receiving content at least as early as 9th May 2011. Indeed, it was during a search for the earliest use of that image-dedicated subdomain that I discovered this particular test account. What surprised me was that virtually no one else had made the same discovery. 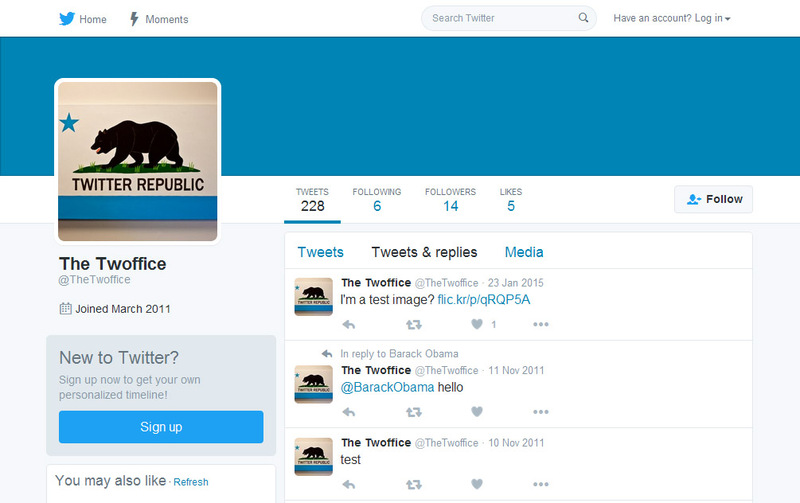 Even today, over five years after the historic launch of direct image uploads in tweets, @TheTwoffice has only 14 followers, and has not yet been beset with Likes or RTs. If you’re reading this post as a WordPress follower, as it goes out, you join me as one of the first outside of Twitter and its associates to know about this testbed, and gain a window into the actual testing sequence for direct photo uploads in tweets. But if you’ve read my detailed studies on finding/exposing Twitter catfish, and recovering sequences of old @usernames, you may already be a step ahead of this article. You may, in fact, have moved on from the discovery of this test account, to the scope for finding others. Of course, the implications of all this stretch beyond mere windows into Twitter’s past. Twitter also needs to test for the future. Right now, Twitter is developing new features, for new times, and these things have to be tested before being rolled out across the site. Discovering current test operations is admittedly more difficult than discovering historical test accounts, because there are no points of reference – you’re groping around in the dark. Previous PostServing the Self-Servers: Profiting From Unsolicited Online ContactNext PostIs Medium.com REALLY a Blogging Platform?